In the first study of its kind, researchers have identified a dozen inherited traits related to sleep, awake and activity cycles that are associated with severe bipolar disorder. Researchers also were able to tie the traits to specific chromosomes, providing important clues to the genetic nature of the disorder, as well as potential new avenues for prevention and treatment. “We were able to identify 13 sleep and activity measures, most of which are inherited, that correlated with whether an individual had bipolar disorder. In addition, we were able to trace some of these traits to a specific chromosome,” said Joseph Takahashi from University of Texas Southwestern Medical Centre in th US. 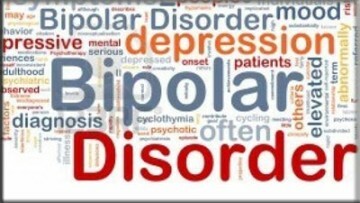 Bipolar disorder, or manic-depressive illness, causes dramatic mood shifts – often called episodes – in which the person is overly excited, extremely sad or depressed, or a mixed state of both, including irritable or explosive behaviour. Causes of bipolar disorder (BP) are thought to be both genetic and environmental, and researchers have long suspected that disruption in normal daily circadian rhythms, including sleep and wake cycles, can precede mood shifts. This study, involving more than 500 members of 26 families from Costa Rica and Colombia, found that those with bipolar disorder awoke later and slept longer, on average were awake fewer minutes overall, and were active for shorter periods than those without the disorder. Researchers also found that those with bipolar disorder displayed lower activity levels while awake and had greater variations in sleep and wake cycles. “This study represents a key step in identifying the genetic roots of this disorder and, in turn, providing targets for new approaches to preventing and treating bipolar disorder,” Nelson Freimer from University of California, Los Angeles, pointed out. This study is the first large-scale delineation of sleep and activity traits in bipolar-affected individuals and their relatives and the first genetic investigation of such a comprehensive set of sleep and circadian measures in any human study, the researchers said.